A new 4 ****+ destination in Lusaka, the BEST WESTERN PLUS Lusaka Grand Hotel is a striking addition to a fast growing and dynamic city, the latest option in Lusaka’s tourism offer. Within the cultural melting pot of the bustling capital of Lusaka, guest will find an oasis of casual comfort and elegance. BEST WESTERN PLUS Lusaka Grand Hotel is the perfect place to experience the comforts of home combined with the culture of an international hotel. 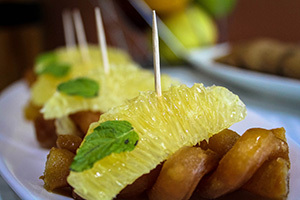 Two restaurants and one bar offer an inspired mix of international cuisine and regional favourites. 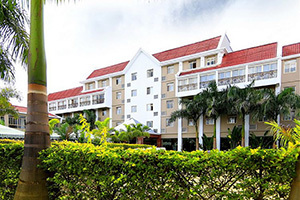 BEST WESTERN PLUS Lusaka Grand Hotel is conveniently located and near to a diverse option of activities and attractions, including international shopping malls, museums, libraries and traditional markets. Embassies are in close proximity to the hotel. The Kenneth Kaunda International Airport is easily accessible and makes traveling a grand experience. After a long period of renovations the hotel opened its operations as BEST WESTERN PLUS Lusaka Grand Hotel in April 2015. 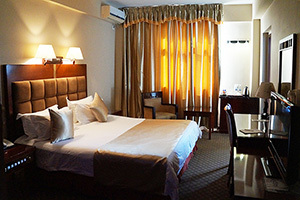 The hotel is fully renovated and is located in the central business district of Lusaka. The hotel has easy access to Kenneth Kaunda International Airport which is situated 20 km away and a modern shopping mall can be found 3 km away. Additionally, the city center is approx. 1 km away from the BEST WESTERN PLUS Lusaka Grand Hotel. BEST WESTERN PLUS Lusaka Grand Hotel provides a distinctive and exciting hospitality experience which showcases the rich heritage of Zambia. The hotel staff passionately focuses on offering guests caring, friendly and consistent service excellence, which reflects their pride in BEST WESTERN PLUS Lusaka Grand Hotel. They aim to be a first choice supplier for the service they offer. The hotel will achieve this by putting its people first, thus ensuring that they always have the edge over their competitors. Its carefully selected employees are provided with opportunities for learning and growth. They lead by example, respect one another and recognize personal effort. They will always be innovative and share their success with the communities they serve. All of the 92 rooms and suites offer the following amenities: high speed Internet access; in-room refrigerador; 30'' flat panel LCD TV; in-room movies and international TV; work desk; hair dryer; makeup mirror and full selection of bathroom amenities; coffee station; individual climate control; in-room electronic safe; 24h room service; iron and ironboard (upon request); bath robes (upon request). 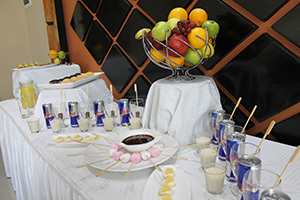 The hotel strives to be the most admired, innovative and successful hotel in Lusaka. It is the first Best Western hotel in Zambia and with its high quality, service, comfort and value-added extras it will become the brand of choice in the marketplace.